Apple on Tuesday blocked a Facebook app that paid users for total access to all network data passing through their mobile phones. The controversy over use of the Facebook Research app first was reported by TechCrunch, which revealed that Facebook was paying users US$20 a month for root network access to their phones. The Enterprise system is supposed to be used only for the distribution of internal corporate apps to employees, not to paid external testers, TechCrunch explained. "Facebook was collecting data on virtually anything they did on their mobile device," said Shane Green, U.S. CEO in the Washington, D.C. offices of Digi.me, a personal data management service. 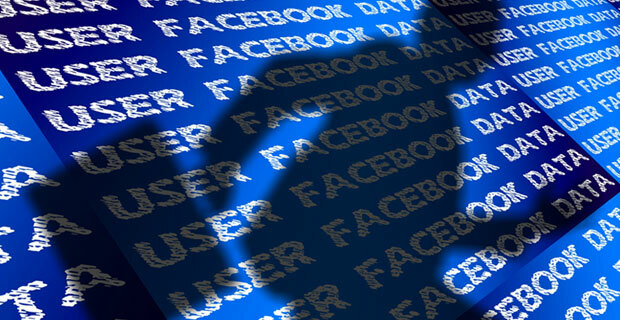 "The VPN they used for this tracks all data coming in or out of the device at a raw, unencrypted level, so there was virtually nothing a user was doing on a mobile device that Facebook couldn't get access to if it chose," he told TechNewsWorld. "I haven't personally seen a program that invasive before," Green added. "Coming from a company like Facebook, it's even more worrisome." Facebook spokesperson Arielle Argyres told TechNewsWorld that key facts about the market research program were being ignored. "There was nothing 'secret' about this," she said. "It was literally called the 'Facebook Research App.'" "It wasn't spying, as all of the people who signed up to participate went through a clear on-boarding process, asking for their permission and were paid to participate," Argyres continued. "Finally," she added, "less than 5 percent of the people who chose to participate in this market research program were teens -- all of them with signed parental consent forms." Since 2016, Facebook has been paying users in the 13 to 35 year-old age bracket $20 a month, plus referral fees, to install the Facebook Research app, TechCrunch reported. Facebook even asked users for screenshots of their Amazon ordering pages. The program is administered through testing services Applause, BetaBound and uTest to cloak Facebook's involvement, according to the TechCrunch story. "Facebook is trying to spy on its competitors," said Matt Stoller, a spokesperson for Freedom From Facebook, a group of organizations advocating the break-up of the social network. "They want to make sure they can spy on anybody that might be creating competitive products," he told TechNewsWorld. "What they were looking for when they bought Onavo, which is where Research came from, was a surveillance application so they could see what their competitors were doing and which competitors were gaining traction." Facebook last summer removed Onavo Protect from the Apple App store after Apple determined the software violated its data collection policies for apps. However, the software also monitors apps, sending user data back to Facebook, which has been known to use it to identify competitors and even spur acquisitions. Under Apple's rules, apps are forbidden from collecting information about other apps on a device for the purpose of analytics, advertising or marketing. What's more, apps must make clear to a user which data they're collecting and how it will be used. Spying on competitors isn't Facebook's only goal with Research, maintained Stoller, who is also a fellow at the Open Markets Institute. "They're also trying to figure out how to potentially encourage children, teenagers and adults to be more addicted to their services," he said. "To subject children to addictive services like the ones Facebook delivers is wrong," Stoller added, "and to have Facebook spying on them so they can improve the addictiveness of their product is also wrong." Apple also revoked Facebook's Enterprise Certificate, which, according to the TechCrunch article, is proving to be problematic. The revocation has broken all of Facebook's legitimate employee-apps, it explained, including pre-launch internal-testing versions of Facebook and Instagram, as well as the employee apps for coordinating office collaboration, commutes, seeing the day's lunch schedule, and more. "Apple knew they would be disrupting Facebook's internal operations. They didn't care," Digi.me's Green said. "They felt that this was a grievous enough breach of faith and responsibility by Facebook to warrant pulling the plug on the whole thing," he added. "And this is just the beginning. I think we're going to see a much bigger escalation now that Apple has positioned itself as a more privacy-centric company." Despite explosive stories in recent months about abuse of its members' data, Facebook seems unable to learn from its mistakes. That may be because of its business model, said Green. "Their business model has an insatiable appetite for data about people, so they're constantly pushing the boundaries of how they can collect more data and get permission to use it however they want to," he explained. "There's a whole history before Cambridge Analytica, where Facebook was accused of confusing users to get them to not mark posts private," Green recalled. "The model is fundamentally corrupt at this point. They just can't stop collecting as much data as they want. That's how they're rewarded internally. That's how their stock is valued." Facebook's days of pushing the norms for data collection may be in their twilight, though. "Facebook was so huge for so long that they were able to violate social norms and make mistakes in a brazen way, because no one was going to walk away from Facebook," said Karen North, director of the Annenberg Online Communities program at the University of Southern California in Los Angeles. "They were arrogant about that. They would do things and say, 'People will like it once they get used to it,' and people got used to things because they didn't want to walk away from Facebook," she told TechNewsWorld. "The reality now is there isn't the same kind of loyalty to Facebook," North added. "They're headed toward a time when people aren't willing to adapt and forgive."